The MSBA Public Awareness Committee (PAC) gave dozens of kindergarteners a crash course in civics with its Law Day 2018 program held May 4 at the Port Discovery Children’s Museum in Baltimore. 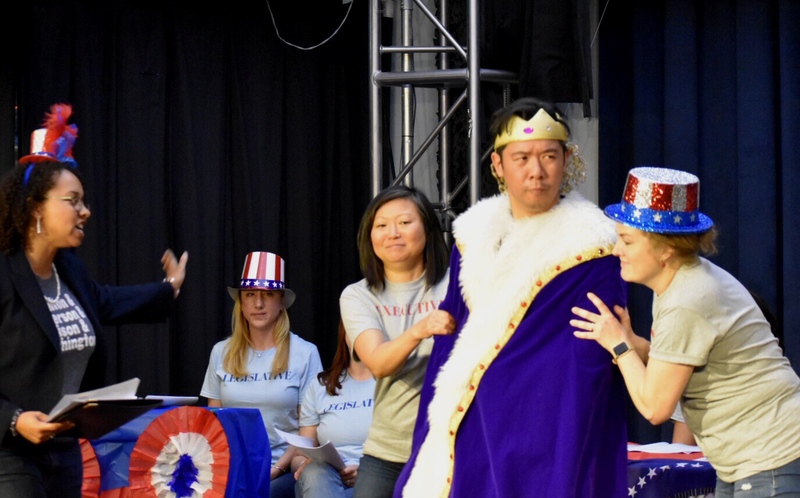 PAC volunteers demonstrated the role and responsibilities of each of the three branches of government with “The Great Candy Debate”, which centered on mock legislation to ban candy in school. Subsequently signed into law by the executive branch, the new law was subsequently overturned by the judicial branch. The event marked the PAC’s second consecutive Law Day program at Port Discovery.